Cooling systems that use a liquid that changes phase  such as water boiling on a surface  can play an important part in many developing technologies, including advanced microchips and concentrated solar-power systems. But understanding exactly how such systems work, and what kinds of surfaces maximize the transfer of heat, has remained a challenging problem. Now, researchers at MIT have found that relatively simple, microscale roughening of a surface can dramatically enhance its transfer of heat. Such an approach could be far less complex and more durable than approaches that enhance heat transfer through smaller patterning in the nanometer (billionths of a meter) range. The new research also provides a theoretical framework for analyzing the behavior of such systems, pointing the way to even greater improvements. The work was published this month in the journal Applied Physics Letters, in a paper co-authored by graduate student Kuang-Han Chu, postdoc Ryan Enright and Evelyn Wang, an associate professor of mechanical engineering. Heat dissipation is a major problem in many fields, especially electronics, Wang says; the use of phase-change liquids such as boiling water to transfer heat away from a surface has been an area of significant interest for many decades. But until now, there has not been a good understanding of parameters that determine how different materials  and especially surface texturing  might affect heat-transfer performance. Because of the complexities of the phase-change process, its only recently that we have an ability to manipulate surfaces to optimize the process, Wang says, thanks to advances in micro- and nanotechnology. The team concluded that the reason surface roughness greatly enhances heat transfer  more than doubling the maximum heat dissipation  is that it enhances capillary action at the surface, helping keep a line of vapor bubbles pinned to the heat transfer surface, delaying the formation of a vapor layer that greatly reduces cooling. The researchers found that systematically increasing roughness led to a proportional increase in heat-dissipation capability, regardless of the dimensions of the surface-roughening features. 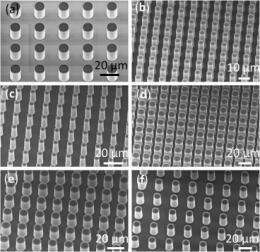 The results showed that a simple roughening of the surface improved heat transfer as much as the best previous techniques studied, which used a much more complex process to produce nanoscale patterns on the surface. In addition to the experimental work, the team developed an analytical model that very precisely matches the observed results. Researchers can now use that model to optimize surfaces for particular applications. There has been limited understanding of what kind of structures you need for effective heat transfer, Wang says. This new research serves as an important first step toward such analysis. 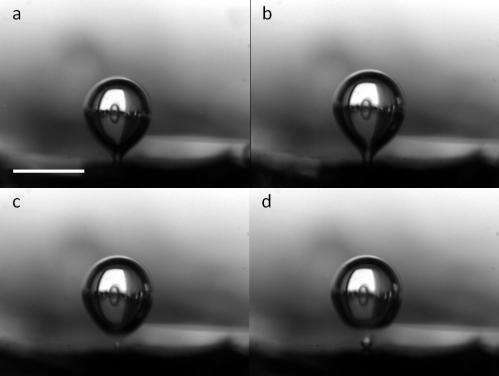 It turns out heat-transfer is almost entirely a function of a surfaces overall roughness, Wang says, and is based on the balance between various forces acting on the vapor bubbles that serve to dissipate heat: surface tension, momentum and buoyancy . While the most immediate applications would likely be in high-performance electronic devices, and perhaps in concentrated solar-power systems, the same principles could apply to larger systems such as powerplant boilers, desalination plants or nuclear reactors, the researchers say. More information: The work was supported by the Battelle Memorial Institute and the Air Force Office of Scientific Research. The team received help in fabrication from the MIT Microsystems Technology Lab. Seems logical to me that increasing the surface area by roughening or etching should increase the ability to dissipate heat - provided the material used to take away the heat can make use of the increased surface area. The Asphalt in Phoenix is rough, but nowhere related to cool! 'Rough' surfaces, per article, do provide greater surface area for 'heat dissipation, regardless of any 'phase change' (see also 'fins' of an automobile radiator!